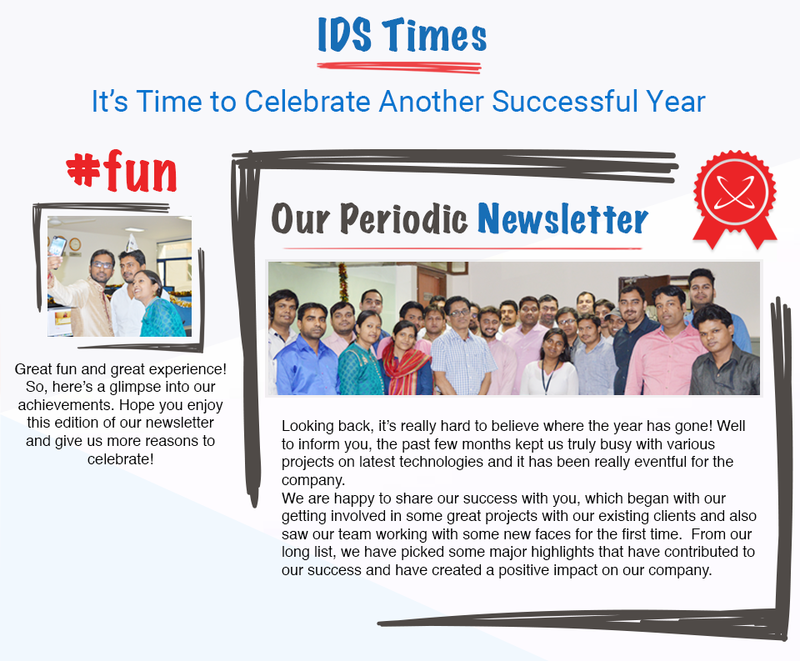 Presenting IDS Times – Where has the one year gone? With our periodic newsletter, take a look at the company’s progress and events that reflect where we have invested our time this year. Looking back, it’s really hard to believe where the year has gone! Well to inform you, the past few months kept us truly busy with various projects on latest technologies and it has been really eventful for the company. We are happy to share our success with you, which began with our getting involved in some great projects with our existing clients and also saw our team working with some new faces for the first time. From our long list, we have picked some major highlights that have contributed to our success and have created a positive impact on our company. Great fun and great experience! So, here’s a glimpse into our achievements. Hope you enjoy this edition of our newsletter and give us more reasons to celebrate! Families online: Looking for local information that has something to do with your kids, mums and family? Here we have created an online resource for you to look out for fun things to do in your local are in the U.K. With a clean and easy to use interface, the site can create some best memories with your family. Novonutrition: Chips are no more what they used to be? Today, protein chips have changed the concept of the chip game! Want to be a part? Then here is what we have created for our client. With Novonutrition’s revolutionary products, gain access to savoury snacks and remain healthy. 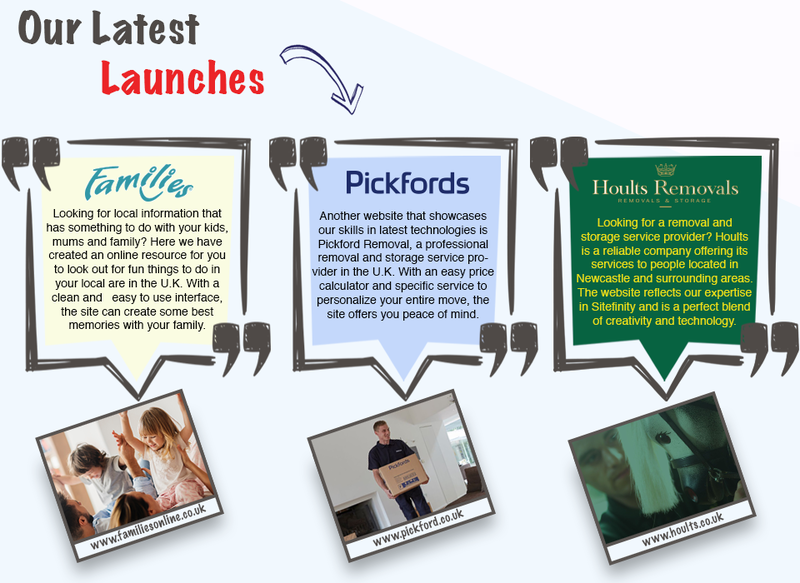 Pickford Removals: Another website that showcases our skills in latest technologies is Pickford Removal, a professional removal and storage service provider in the U.K. With an easy price calculator and specific service to personalize your entire move, the site offers you peace of mind. Emmas Home: What can be better than offering safety and comfort to your little ones and your family? The site reflects our rich expertise in the Sitefinity platform and is also a perfect blend of technical skills and creativity. For best products that match your lifestyle and budget, browse through Emma’s Home. Proud to be a part of the company. Wish more success in the coming years. Feeling proud tobe an IDSLogician from last 3 years. Feeling proud to be part of this company. I joined IDS Logic this year and there is no doubt that i see a bright and progressive future of IDS logic and its family in coming years. This year i joined a great team i.e IDS logic and there is no doubt that i see a bright and progressive future of IDS LOGIC and its Family.